Peter was one of over 20 Sinn Féin activists, including elected representatives murdered by unionist death squads during the conflict, however his legacy continues to inspire republicans across Armagh in our pursuit for freedom with the party becoming the largest in the city in recent years and a local cumann being named after him. OCTOBER marks the 30th anniversary of the murder of Armagh City Sinn Féin activist Peter Corrigan on 25th October 1982 by a unionist death squad. The Armagh Sinn Féin Comhairle Ceantair, in conjunction with the Corrigan family, have planned a series of commemorative events honouring Peter’s contribution to the republican struggle. 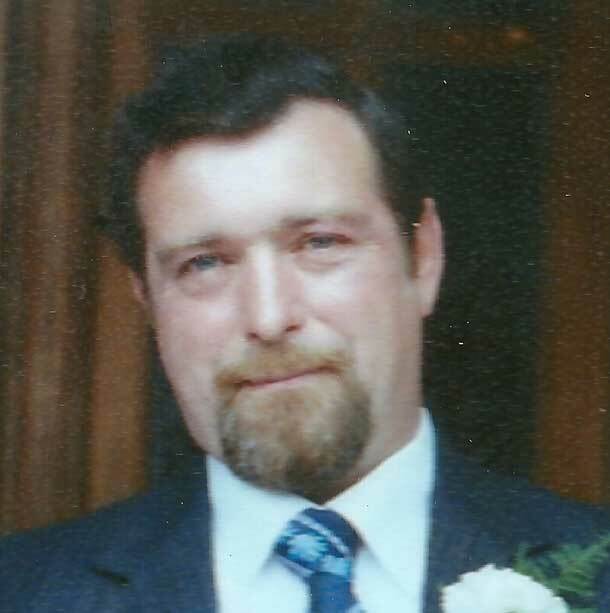 Peter was born in Armagh on 19 April 1935. A gifted craftsman, he was widely known across the country for his brick and stonework. He married his wife, Jean (also from Armagh) in Birmingham and the couple returned to live in the Banbrook area of Armagh before settling in Drumbreda, where they continued to raise their 11 children. Following the outbreak of conflict in 1969, Peter joined the Armagh City Brigade of Óglaigh na hÉireann and became a very active Volunteer. He was interned along with his two brothers in August 1972 where he spent nine months on the Maidstone prison ship. He was later interned again in 1973 and spent a further two years in the Long Kesh Concentration Camp. On his release, Peter reported back to the Army and became a senior figure in developing republican structures across Armagh City. He was a tireless advocate for the republican prisoners in Long Kesh during the Blanket Protest and Hunger Strikes: organising pickets, protests and demonstrations in Armagh, helping to create greater public awareness about the inhumane conditions in which prisoners were being incarcerated. Peter thoroughly recognised the significance of Bobby Sands’s electoral victory in the Fermanagh/South Tyrone by-election in 1981, and later played a prominent role in Sinn Féin’s electoral intervention in October 1982, becoming an election agent for the Armagh candidate. This election was the party’s first official outing in the Six Counties in almost 60 years and the success resulted in the party taking 35% of the popular nationalist vote and returning five Sinn Féin abstentionist members to the old Stormont Assembly. Peter had long been the victim of RUC and UDR harassment which had noticably intensified during this particular election campaign. The frequent threats which Peter regularly received were to be realised on the morning of Monday 25 October as he walked along the Loughgall road, on the outskirts of Armagh City, accompanied by his brother and son, Martin (Martin was later killed in 1990 during an attack against the RUC). A Toyota car stolen from Belfast on that particular morning made its way into Armagh, ‘conveniently’ undetected by the various UDR checkpoints which had been drafted into the city for the day. As the Toyota car passed the three men, a loyalist assassin leaned out of the car window, opening fire with a submachine gun. Peter immediately fell to the ground after being hit on the side of his head, his brother and son fortunately evading execution. A serving UDR soldier was later convicted of Peter’s murder which came just five days after the landslide election victory for Sinn Féin. Clearly, there were those within the British Establishment who were concerned with Sinn Féin’s success and were determined to curb the party’s growth by targeting the activists who sustained it. Peter was one of over 20 Sinn Féin activists, including elected representatives murdered by unionist death squads during the conflict, however his legacy continues to inspire republicans across Armagh in our pursuit for freedom with the party becoming the largest in the city in recent years and a local cumann being named after him. Amongst the commemorative events and initiatives taking place to mark the anniversary include the launch of a booklet and DVD. The booklet, produced by Armagh Sinn Féin Republican Youth, documents Peter’s life, containing personal stories and accounts from those close to him. The DVD details Peter’s involvement in republicanism through interviews with his family, friends and comrades. 8:30pm Peter Corrigan lecture in St Patrick’s Trian, Armagh: ‘The British state’s targeting of Sinn Féin activists during the conflict and the methods deployed to prevent the growth and development of the party’ - Panel discussion with Mark Thompson (Relatives for Justice), Francie Molloy (Sinn Féin MLA), Brendan Curran (Craigavon Sinn Féin councillor).